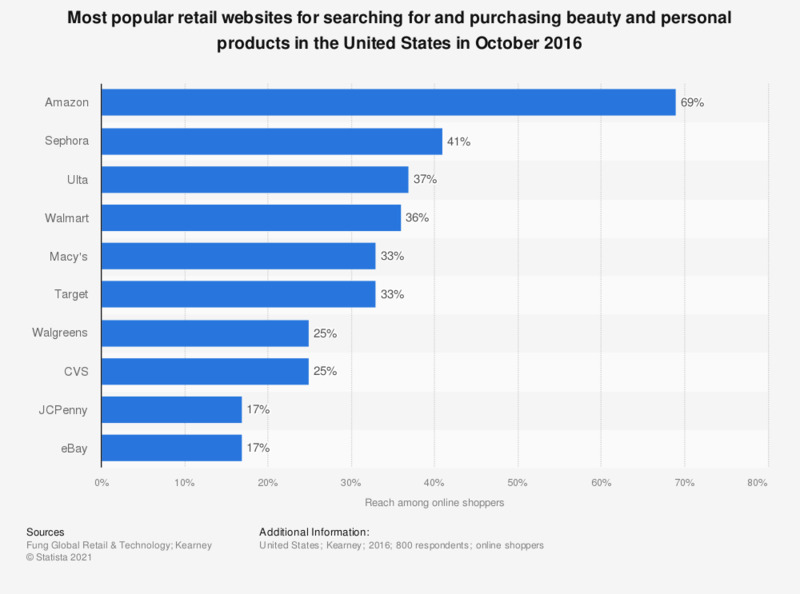 This statistic presents the most popular retail websites for searching for and purchasing beauty and personal care products in the United States in October 2016. According to findings, Amazon was reported as the most popular retail website for searching and purchasing beauty products with a recorded search and purchase reach of 69 percent of online shoppers. In comparison, Sephora came in second behind Amazon with a reported reach of 41 percent.